2018 was a lot of things to a lot of people. In the blues world it was the year of the comeback. As I started to reflect on the best recordings of the last year, I came across one artist after another who had left us for awhile. 2018 has been called the Year of the Woman. It seemed entirely appropriate that women blues artists also made a big comeback in 2018. In Sweden, both Greger Andersson AKA Knock-Out Greg and Pers Näsman AKA Sam Rocket haven’t even made an album in about sixteen years or so. They both made outstanding CDs this past year. It was as if they never left. Both artists even landed in our Top Ten List as part of our Top 40 Blues Albums of 2018 feature. Sue Foley hadn’t released an album in six years and before that she left the blues altogether when she signed on with Ruff Records and made blues-rock records for a few years. Her Ice Queen album is simply the best thing she has made since her debut album on Antone’s Records in the early 90’s. Nick Moss has returned to the fold. He was struck by that blues-rock virus which has been going around. His 2018 album, which features the harmonica playing of Dennis Gruenling, is a beauty and a true return to form for this perennially talented individual. He has made it onto our Top Ten list as well. Come to think about it, Little Victor hasn’t made an album in a few years now. He hasn’t made a solo album since 2011’s Boogie All Night. His new album is also terrific and made it onto a few top ten lists which can be found in a feature this month entitled Dave’s Top Ten List of Top Ten Lists. Just outside the blues world, but music that is part of our world nontheless, Junior Brown made his first album in I don’t know how many years, it’s good to have him back. His 2018 Deep in the Heart of Me might be his best album since 1993’s Guit With It. I reviewed that album last summer. That was the same month I reviewed the new John Coltrane album, Both Directions at Once. Talk about a comeback. Coltrane died 50 years ago and this music goes back five years before that, yet these tracks have never been released. Both the Junior Brown and John Coltrane reviews can of course be found in the archive section of the site. This guy who gets pegged as a trad blues nut is just keeping you on your toes. 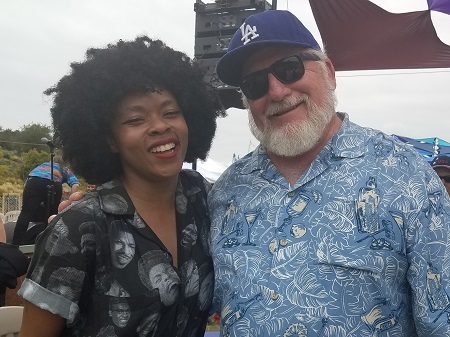 While you are up on those toes, that was the same time of year I published a rare live concert review on a Nikki Hill show when that rock&roller came through town. Her 2018 album Feline Roots just won a BLUES JUNCTION AWARD for 2018. Don’t worry blues music fans, my little excursions into country, jazz, soul and rock&roll are only prompted by exquisite recordings and performances which just can’t be ignored. Some great artists sit slightly outside of our rather large blues tent and my eclectic tastes need to be satiated every so often. If you have read BLUES JUNCTION for any length of time, you know that I race right back into my comfort zone very quickly. It’s always nice to know you are there to welcome me back. Here in 2018 the real blues world was again dominated by a few movers and shakers who also happen to be marvelous musicians in their own right. They are Jim Pugh, Kid Andersen and Big Jon Atkinson. These three have their prints all over several of the CDs which are recognized here in our annual “Best of…” edition of BLUES JUNCTION. Each of these three individuals has been interviewed and featured here over the past few years. Their interviews can be found in the Archive section of our site. This year an old friend, who is not all that old, has surfaced as a force in the blues world. He is Lars Nä﻿sman and his Magic Productions is responsible for three albums which made it into our top ten list this year including the BLUES JUNCTION Productions Album of the Year. 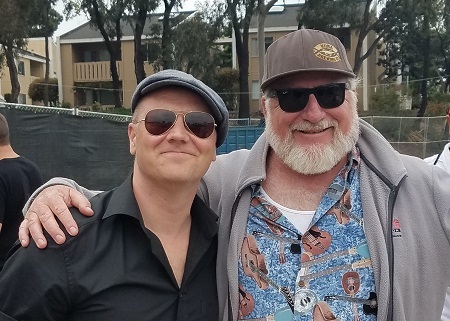 Our interview, which we originally ran last July, is back in our 2018 Featured Artist of the Year, to show our appreciation for Lars’ great contributions to the blues world in 2018. It has been said that 2018 was the Year of the Woman. In the much-discussed midterm elections this past fall, Americans voted for a record number of women in all areas of government and of course we now have a record number of women who will lead the fight against Trump in the House of Representatives. The women in positions of power and influence will help make this a better country. It has become abundantly clear that America has repudiated Donald Trump and what he stands for. The Democrats needed to pick up 25 seats to win majority control of the United States Congress. They picked up 40 seats. This election also represented the biggest flip of the Congress in a generation. More Americans voted in this midterm election since the 1914 midterms. It was what had been hoped for…a gigantic blue wave, more like a tsunami. When America gets out and speaks its mind at the polls Republicans don’t stand a chance. I have, as many of you know, written occasionally over the past two years about our national crisis, which is Donald J. Trump occupying the White House. I had been warned by virtually everyone I trust as friends and confidantes that this was a bad idea, as I might alienate some of our readers. I didn’t care. Some things are more important than ratings. I have been rather pleasantly surprised that our readership continues to grow and the letters to the editor and comments on social media reflect overwhelming support for my decision to write these occasional editorials. As it turns out I haven’t offended anybody or at least anybody I care about. Trump supporters are not known for their prolific reading habits to begin with and they sure as hell aren’t going to read my stuff anyway. BLUES JUNCTION is on the record as being part of the resistance movement. If this offends you in any way, go f*ck yourself and change the channel. Just like the United States Congress, women have made huge strides in the male dominated blues worId. Our coverage of these musicians this past year reflects this welcome trend. Sue Foley (Texas), Marina Crouse and Whitney Shay (California), Emilia Sisco (Finland) and An Diaz (Argentina) all made great records this past year. The Knickerbocker All-Stars made a soul-blues record with two accomplished vocalists, Darcel Wilson and Thornetta Davis. All of these tremendously talented blues artists have been featured in BLUES JUNCTION in the past year and they are recognized here in our “Best of…” edition as well. Additionally, you will notice that our annual feature entitled, Dave’s Top Ten List of Top Ten Lists actually goes all the way to eleven this year. That’s one louder, as we hear from our dear friend, long time blues lover and subscriber to BLUES JUNCTION, Leslie Hagins. Please enjoy our look back at 2018. I would like to again thank our readers for all the kind words of support. I really, truly and deeply appreciate it. 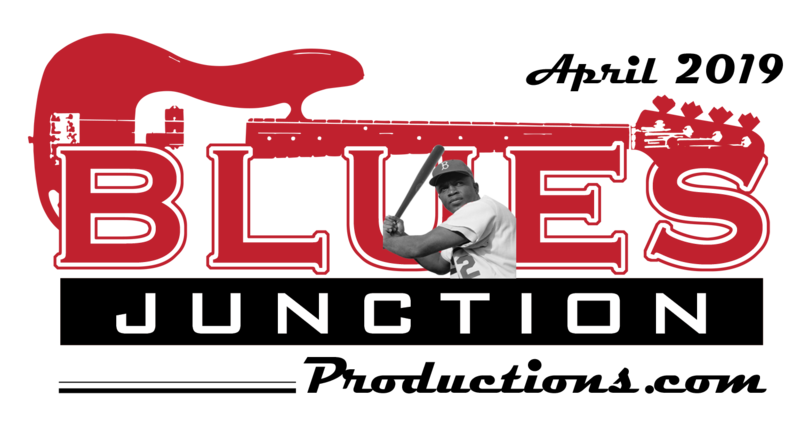 If you are interested in subscribing to BLUES JUNCTION, you are welcome to contact me by visiting our Contact page on the site, we can hook you up. As you might suspect we are already planning all new features for 2019. Remember, we are one of the few blues rags who are still publishing monthly. Looking ahead, I’m aware of some very exciting never before released recordings, old and new, coming out this year. There are already dates set for the handful of blues festivals in which we participate. We will keep you posted on all of this and more. In the meantime, be well and be in touch.